This is an Interesting Old item we have in our shop. 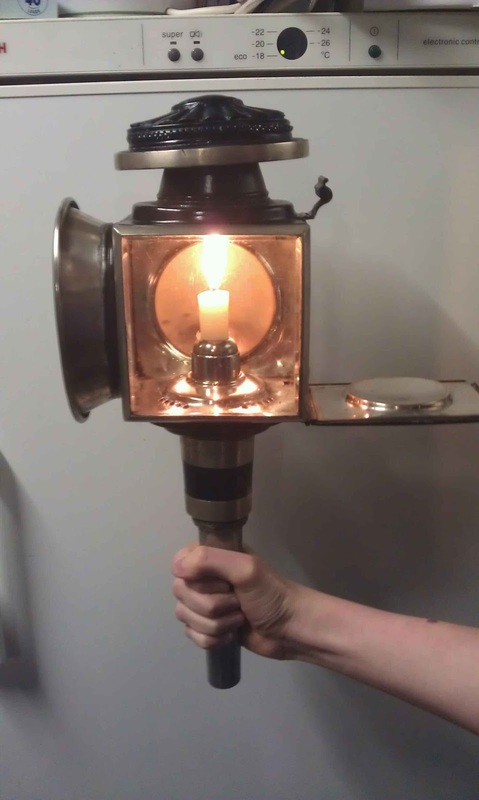 This old carriage lamp is not worth a fortune but it is one of the most interesting items we have in our shop. But that's just my opinion, not everyone is into quirky old things like I am. I think it would look lovely cleaned up and mounted on the fire place with an nice fat candle. What do you think? So if your looking for an interesting DIY project let us know. Check this item out on our Facebook Group and ask one of our Admin's the price if you are interested.